Photo of a trio all defended with success by Sue Grey. Was great to catch up with everyone, I admit the process with the MC bill means I am starting to lose my cool…. its been almost a year since legislation was introduced. Its been delay and obfuscation at every turn. Yeah I agree with your concerns. 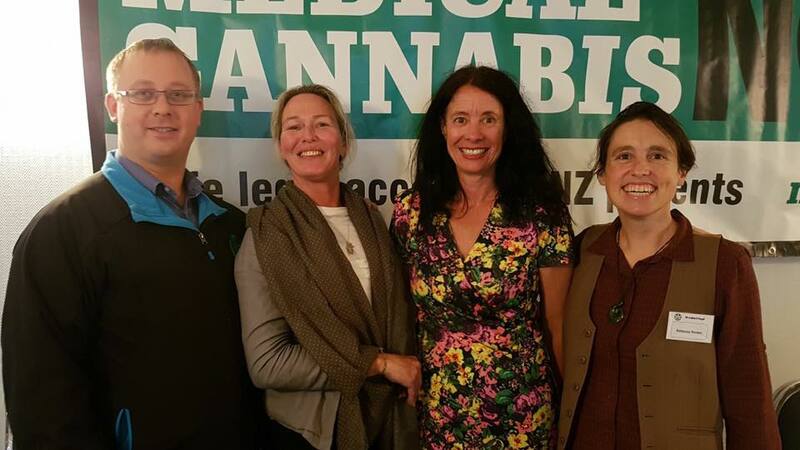 There are some caveats on MCANZ, specifically, we dont dabble in recreational advocacy. In light of the refusal of MPs to accept growing your own as a human right like Canada, we are trying a compromise approach that it is merely a licensed activity on a small scale. That's quite a positive spin on it. My dealings with David usually resulted in being told to talk to Julie as Labour didn't want any flack in an election year on MedCan. Julie's bill had won her the hearts and minds of the MedCan Patient population. In my opinion Cannabis is first cab off the ranks, its been around for thousands of years (like alcohol) yet has a better safety profile. Personally anything that has a better safety profile than alcohol should be legal. Being late to the party means we can control it much better, just as Canada is putting very strict controls on legal cannabis, (so much so that the legalization crowd like Marc and Jodie Emery are complaining that its not legalization) the worst thing is our binge culture, what ever happens the greatest risk from those class C drugs that could be legalized (even Peter Dunne is for it!) is mixing of substances. I have communicated to some of the free the leaf crowd what the drug foundation policy around the potential industry means, once I explained that it avoids big business, and allows previously criminalized people to go legal, (the "OG" growers) they were quite smitten. @Liam Dann, that shipment is for a special approval granted by Peter Dunne, and is for one patient only, the intent being to find a cheaper alternative to Sativex, as the product is a 1:1 ratio oil.